Also local breweries serving up cold, refreshing beer from 1-4pm. Dress to impress, a prize will be given to the best farm themed costume! This looks fantastic -Will be a great day out for all !! 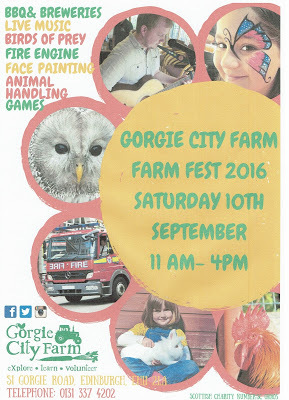 This entry was posted in Free events and happenings, Uncategorized and tagged 10th september farm fest, cuddle corner, face painting sep 10th, gorgie city farm, gorgie farm fest, gorgie farm festival, pets corner gorgie farm by Edinburghfestivalsforkids. Bookmark the permalink.